Joe Richard Edwards was born on May 23, 1940 to Thomas F. and Zula M. (Lowery) Edwards in Bowling Green, KY. He went to his heavenly home on Monday, January 28, 2019. Joe is survived by his loving wife Faye of 58 years; two sons, Dennis Joe and Douglas Franklin; one daughter, Janice Marie O’Neal; seven grandchildren and eleven great-grandchildren. He was preceded in death by his parents, Thomas and Zula Edwards, two sisters; Helen Lawson and Bonnie M. Waite. Joe graduated from Harry E. Wood High School and while going to school worked at Central Library; and learned his barbering skills. He also worked as a barber at 38th and Illinois, Southern Plaza, Greenwood Park Mall and eventually had his own shop “Laurel Lake Barber Shop”. He was an active barber from 1958 to 2006. Then he worked part time at Mike’s Barber Shop. 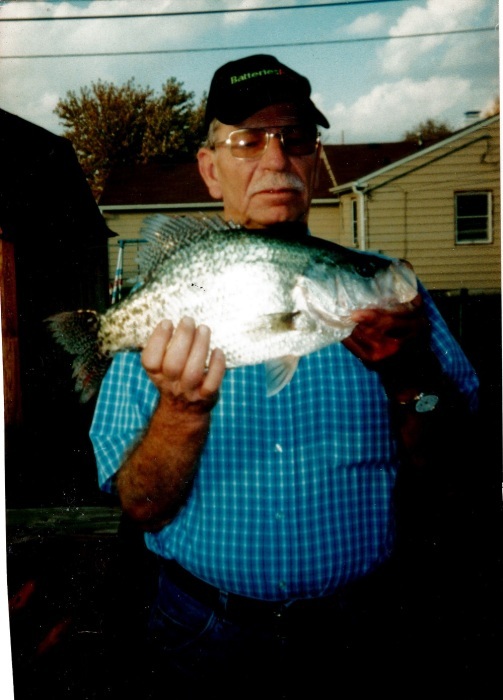 He was an avid fisherman, beloved husband, father, son, uncle, brother, and grandfather and a true friend to all who knew him. Joe loved IU basketball, his barbering jobs, working and being with and helpng anyone anyway he could. Joe will be missed by all who knew him. Our loss is Heaven’s gain. Rest in Peace Joe. Go fly high with the angels and keep us under your wings! Love you- your loving wife Faye. Visitation will be held on Saturday, February 2, 2019 from 1:00 p.m. until 4:00 p.m. in Lauck & Veldhof Funeral & Cremation Services (1458 S. Meridian Street). Funeral service will conclude the visitation at 4:00 p.m. at the funeral home.